Dunfermline Athletic are pleased to confirm the signing of Daniel Armstrong on loan from Wolves. Dunfermline Athletic are pleased to announce the loan signing of Tom Beadling from Sunderland. Brandon Luke has joined League Two side, and fellow Fifers Cowdenbeath. Dunfermline Athletic are pleased to announce the signing of midfielder, James Vincent on loan from Dundee. 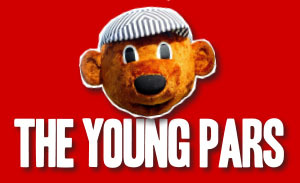 Dunfermline Athletic were pleased to welcome John Guthrie and `Team Dougal` to East End Park for Friday`s match against St Mirren. The latest Centenary Club Lifeline winners have been confirmed at Friday`s match against St Mirren. "We go and get beat by St Mirren so we just need to dust ourselves down. We have another tough game against Morton next weekend." "You kind of thrive off trying to snuff them out. Hopefully we can keep another clean sheet - there have been four in the last five games. Supporter`s information ahead of Friday`s Ladbrokes Championship match against St Mirren at East End Park. 25/01/18: AJ - "We know that we have to put in a really good performance to go and get a result." Player of the Year 2018 - Save the Date! The Centenary Club Lifeline Player of the Year Awards will be held on Saturday 28 April 2018 at the Glen Pavilion, Dunfermline. Hospitality is now available for our Friday night football against St Mirren on 26 January 2018. 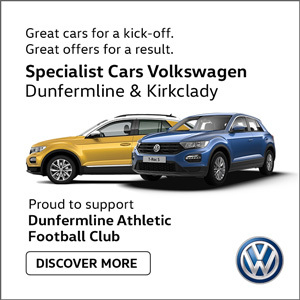 Dunfermline Athletic were pleased to welcome squealadeal.co.uk to East End Park for Saturday`s match against Greenock Morton. The new Fitness Suite at East End Park was recently officially opened, although the playing squad have been using the facility since October. "It’s worked out well that we had a bye in the third round of the cup at Falkirk because we finished second in the league last season. Dunfermline Athletic are pleased to announce the signing of midfielder, James Craigen on a deal until the end of the current 2017/2018 season. 18/01/18: AJ:- "We’ve brought in Lee Robinson so far but we’re hopeful of getting in a couple more over the next couple of weeks as well." Supporter`s information ahead of Saturday`s Scottish Cup Fourth Round tie against Greenock Morton at East End Park. DAFC Chairman, Ross McArthur would like to extend an open invitation to all supporters to come along to the Purvis Suite at East End Park, on 25 January at 7pm. Defender, Stuart Morrison has today re-joined League Two side, Edinburgh City on a development loan. Enjoy our three-course Scottish Cup hospitality in the Purvis Suite on Saturday 20 January for just £45 per person. "I don`t normally shoot and that is why! The latest Centenary Club Lifeline winners have been confirmed at Saturday`s match against Dundee United. 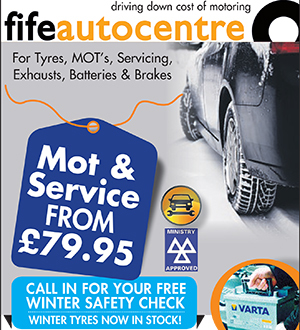 Dunfermline Athletic were pleased to welcome Andrew Mathie Roofing to East End Park for Saturday`s match against Dundee United. Ladbrokes Championship: (home) v Dundee United, Saturday 13th January 2018, 3.00pm at East End Park. "We want to catch the two teams above us so this week is going to be a big game. 11/01/18: AJ - "You need to be at your very best to get a result against United." A squad of Pars youngsters took to the road again this week under the guidance of First Team Coach, John Potter. Everyone at Dunfermline Athletic Football Club was deeply saddened to hear of the death of former player Felix Reilly who passed away peacefully at his home in Comrie, Perthshire in the early hours of Tuesday 2 January. "I am just delighted that it went in, the three points were massive and we left Dumbarton third in the table. "Get the three points, climb up the table and keep the form going, that`s all that matters." Ladbrokes Championship: (away) v Dumbarton, Saturday 6th January 2018, kick off 3.00pm at the YOUR Radio 103FM Stadium. 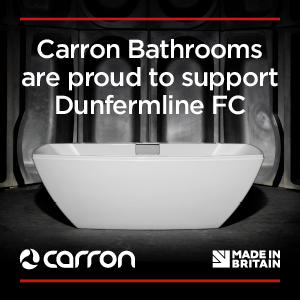 Dunfermline Athletic were pleased to welcome The Elizabethan to East End Park for Tuesday`s match against Falkirk. Rennie Suite Hospitality: Spaces Available! We have limited spaces available in the Rennie Suite for the upcoming Ladbrokes Championship match against Dundee United on Saturday 13 January 2018. Priced at £45 per person! 04/01/18: AJ - "It is actually a shame that everybody is talking about what went on the sidelines than actually talking about the performance. Hospitality v Dundee United: SOLD OUT! Hospitality for our match against Dundee United on Saturday 13 January is now sold out! Various matchday sponsorship opportunities are available for our upcoming William Hill Scottish Cup Fourth Round tie against Greenock Morton at a discounted rate. Pars keeper Sean Murdoch claims Falkirk "is the fixture that we are always looking out for and they have been feisty this season."